Does it matter how I identify my gender and sexuality? This question can spark contentious debate. While reading Unbound: Transgender Men and the Remaking of Identity by Arlene Stein, I began to think more deeply about my lesbian identity. I’ve been contemplating a lot lately about whether I still identify with the label “lesbian.” Am I a lesbian? Am I queer? Am I trans*? 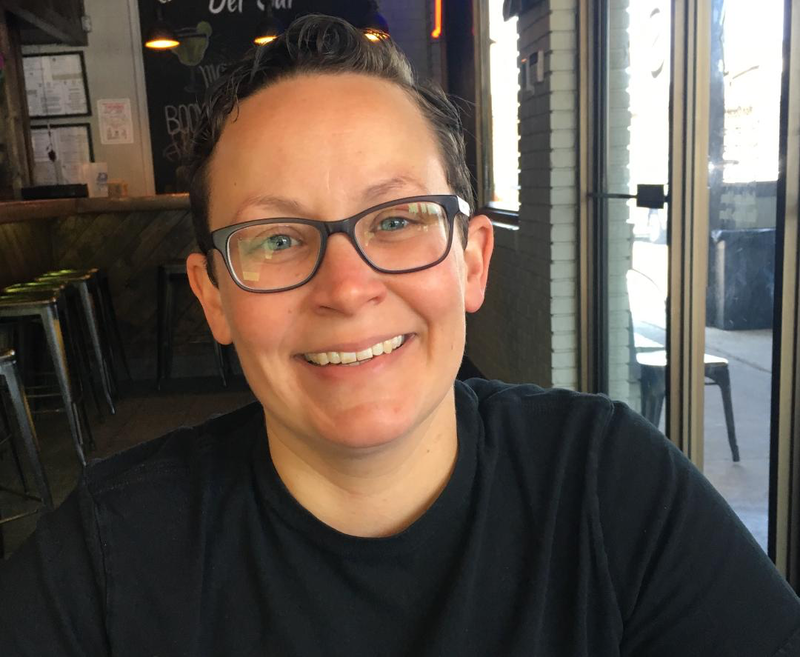 A little background about me… After overcoming years of internalized homophobia from my upbringing in rural South Carolina, I came to terms with my lesbian identity in the fall of 2003, my first-year of college. I was randomly assigned a roommate who strongly identified as a lesbian woman. She came out in high school, despite being raised in a Southern Baptist family in Georgia. She was forced to attend “Love Won Out”—an ex-gay ministry—at her church, while her lesbian friends protested outside. Following high school, she received academic and athletic scholarships to a private Christian college in South Carolina. She left for college with a threat from her family to “not mess up”—i.e. be a lesbian. Her family hoped that the religious environment of the school would stifle her ability to find a partner, as they continued to pray the gay away. Living with her, it only took a little over a month for me to realize that my attraction to women was the thing that made me feel so different growing up in my small town. While my college roommate and long-time friend remains heavily embedded in the lesbian community, I feel I lost that connection somewhere along the way. Since we dated, her other long-term relationships have been with older women who are well connected in the lesbian scene and what I would call second-wave lesbian feminism. I, on the other hand, ended up dating mainly bisexual women or women who had spent the majority of their lives in relationships with men. I completed my Ph.D. in sociology and started studying trans* men and non-binary identities. And during my graduate education, I began to identity as a genderqueer lesbian. This is confusing to many people, because I no longer identify as a woman, however, I identify as a lesbian. By classic definition, a lesbian is a woman attracted to other women. I came of age during the shift from the butch/femme lesbian culture to the growing queer movement. Stein explains that in the early 1990s, we start to see the conversation change. The term transgender begins to take the place of transsexual, moving those who dare to challenge the binary gender system from “mentally ill patients” to “empowered people.” I also came of age at the end of the lesbian bar scene. After graduating from undergrad in 2007, I was able to enjoy a few years of finding myself in a couple of the remaining lesbian bars in Columbia, South Carolina. These bars have all since disappeared, much like the butch lesbian. Stein argues the lesbian bar was “driven out by gentrification, the mainstreaming of gay and lesbian culture, and the uncoupling of lesbianism and feminism.” Today, only a few lesbian bars remain in the United States. After reading Unbound, specifically the chapter entitled, “Last Butch Standing,” I began to wonder where I fit into this generational divide. Stein discusses the disappearance of the lesbian butch. She shares quotes from older butch lesbians lamenting this disappearance. The idea that butch lesbians are all now becoming trans* men seems to be a visceral fear among this earlier generation of lesbians, butch and femme alike. In the 1970s and early 1980s, radical lesbian feminists like Audre Lorde and Monique Wittig reclaimed lesbian as a political statement. They linked their political feminist ideals with their lesbian sexuality. To in any way associate with men in the power structure of the day was to hand over your power. Somewhere along the way, the link between lesbianism and feminism became muddled. Trans* rights and queer movements began to shift. I’m in no way arguing this is a bad shift. Rather, I’m wondering where did the lesbian go during this shift? Stein says, “Butches still exist, of course,” but the disappearance of the lesbian bar makes them hard to find. Stein poses the question, “Are butches and trans men fundamentally different groups of people?” My research, along with Stein and Henry Rubin supports the idea that many trans* men today would have once identified as butch lesbians, most before they knew being transgender was an option. In Rubin’s 2003 book, Self-Made Men, he argues that the difference between butch lesbians and trans* men is a thin and changing line. And, while I agree with Stein in much of her argument in Unbound, I do not agree that “transgender is the hot new thing—which means that younger people are as likely to question their gender today as their sexuality.” Transgender is in no way new, as Stein clearly shows in her book, and should never be spoken of as a trend. The fact that trans* people now have the right to exist and live as they feel comfortable is testament to the power of social movements, including feminism, gay and lesbian civil rights, queer rights, and trans* rights. This leads me to today, living in between the generation of radical lesbian feminism/the butch/femme lesbian subculture, shifts in the acknowledgement and acceptance of trans* people, and the queering of the gender binary more generally. Where do I fit in? I really don’t even know what generation I belong to any more. Apparently, millennials no longer like the word “lesbian” or identify with this label. Mary Grace Lewis, recently mourned this fact in her Advocate article, “‘Lesbian’ Isn’t a Dirty Word and More Millennials Need to Use It.” She argues that millennials distancing themselves from the label lesbian is largely due to the poor representation of lesbians in the media. Her argument closely resembles the much more thorough analysis of female masculinity by Jack (then Judith) Halberstam in his 1998 book, Female Masculinity. Halberstam clearly shows how female masculinity has always been discouraged and pushed to the margins. Why has lesbian become a dirty word to younger generations? Millennials question everything and a lot of them are queering most things. Instead of saying “Just use the word,” we have to figure out a way to fix our image problem. So, here’s what I know: I am not discouraged by the rise of the transgender or queer movements. In fact, I am ecstatic about this! I do not agree with some second-wave feminists who feel the growing number of trans* men seeking transition is a threat against women or feminism. I wholeheartedly believe that trans* women must be welcomed into women’s spaces and feminism with open arms. The idea that some feminists would exclude others—what some have referred to as TERFs or trans exclusionary radical feminists—goes against everything I believe about feminism. Feminists have fought long and hard, and will continue to fight, so that women, and humans, have the right to control their own bodies. That is all that trans* people are asking for. To be pro-choice on abortion but anti-choice against trans* gender affirmation is contradictory and offensive. We have to distance ourselves from TERFs, we have to make the gay and lesbian civil rights movement not just a white and privileged movement, we have to strive for better representation in media, and we have to leave our comfy couches and create lesbian spaces again. So, how will I choose to identify? For now, I’m choosing lesbian! Lesbian has a powerful history and we stand on the shoulders of butch lesbians before us, like Esther Newton. I’m also choosing genderqueer. I cherish my history as a woman and the history of the women who fought before me so that I have the ability to choose to spend my day writing this essay, rather than cleaning my dirty house. Further, as a genderqueer lesbian, I choose to leave my identity open to adjustment. I may have top-surgery when I can afford it, but that doesn’t make me more or less of a lesbian. I choose to inhabit this liminal space in between woman and man, I choose to be butch, I choose to challenge the gender binary, even though that can be difficult at times. For the millennials out there, you do not need to use any word that does not fit you. Lesbian can be a powerful and meaningful identity if you choose it, but if you do not, I accept you as you are. For the older lesbians out there, I respect you and hope that we can create lesbian spaces again. Your guidance and wisdom are needed for the next generation. So, if you’re a rich older lesbian, spend some of that money to create some new lesbian spaces for us! Maybe this time we could have windows? Maybe a nice patio—us butches can help you build it! And if you want to get crazy, us millennials love a good wine list! Baker A. Rogers is an Assistant Professor of Sociology at Georgia Southern University. Their research and teaching focus on inequality, specifically examining the intersections of gender, sexuality, and religion. Their work is published in Gender & Society, Sexualities, Review of Religious Research, and Feminist Teacher.